How old do remnants of our material culture have to be before they’re considered artifacts? If you’re a gamer, not very old at all. This week, Canada-based game developer Fuel Industries got approval from the city of Alamogordo, New Mexico, to excavate the site of the so-called Atari Dump — a desert landfill where the famous video game manufacturer Atari buried hundreds of tons of broken and outdated merchandise in 1983. For gamers, the Atari Dump is the stuff of lore, long associated with the failure of “E.T.”, Atari’s attempt at a home-game tie-in to Steven Spielberg’s 1982 movie. The company paid handsomely for rights to the title and rushed an ungainly game to market, making such a face-plant in sales that it almost ruined the company. “E.T.”‘s epic fail became a cautionary tale and a symbol of the video-game industry crash of the early 1980s. Now, Fuel seeks to exploit the legend by filming a documentary about the excavation of the dump, perhaps hoping to find thousands of “E.T.” game cartridges and Atari 2600 consoles — or at least hoping that viewers will hope to find that. And they might indeed find them — along with a lot of other stuff. Historical records suggest that the dump may be full of all manner of industrial detritus. In 1983, Atari, Inc. — suffering from a combination of poor overall sales and overconfident ordering that left its distributors with too much merchandise on their hands — decided to change course. It closed its manufacturing plant in El Paso, Texas, and opened one in China — a harbinger of practices to come. 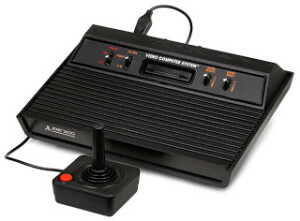 It also tried to divert the public’s attention from its hoary 2600 consoles to the new Atari 5600 5200. And it gave up on ever getting rid of its unsold inventory. The company approached the remote desert town of Alamogordo across the border in New Mexico and got the go-ahead to use its landfill. That September, according to newspaper accounts, 14 trucks backed up to the dump and dropped their loads. Company spokespeople told the local press that the waste was mostly broken and returned merchandise — consoles, boxes, and cartidges. Other accounts suggest it also included unused prototypes, and maybe leftovers from the manufacturing process. 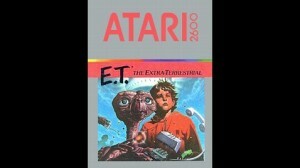 Although none mentioned Atari’s most famous recent failure, the press dubbed the dump “E.T. Trash,” and a meme was born. City officials balked at the huge volume of Texan garbage brought to their town and passed ordinances that prohibited any such “extra-territorial” dumping in the city in the future. But today, Alamogordo apparently hopes the Atari Dump will bring attention to the city. “I hope more people find out about Alamogordo through this opportunity that we have to unearth the Atari games in the landfill,” Mayor Susie Galea told KRQE. In archaeological terms, one culture’s midden is another culture’s treasure trove. Thirty years after it was first interred, Atari’s trash may find new life as precious artifacts of a bygone era. Join Western Digs on Facebook, follow @WesternDigs on Twitter, and follow us on Tumblr too! Did you (Atari book author) speak to anyone in the small town in NM where this allegedly occurred? These guys are plugging this “Atari inc – business is fun” book on every website mentioning this dig. Unless you dug this up already you have no idea what’s there. It may be nothing but broken bits of trash but you don’t know. Confirmation of what happened is pretty simple – it just takes old fashioned research. Check out the list of references for the Wikipedia article on “Atari video game burial” – the Alamogordo Daily News is cited repeatedly. And Curt and Marty have access to Atari’s internal documents from 1983. Now, since there was some security present 30 years ago, does anyone have a complete, accurate inventory of everything dumped and buried? I doubt it. But after 30 years crushed in the desert are there going to be surprises, IF anything can be found? I doubt that too. I live in Alamogordo New Mexico and yes it’s true.